We have lots of snow!! The downhill and cross country ski trails are open. Winter is a magical time of the year in the Adirondack Mountains. The air is crisp and refreshing. 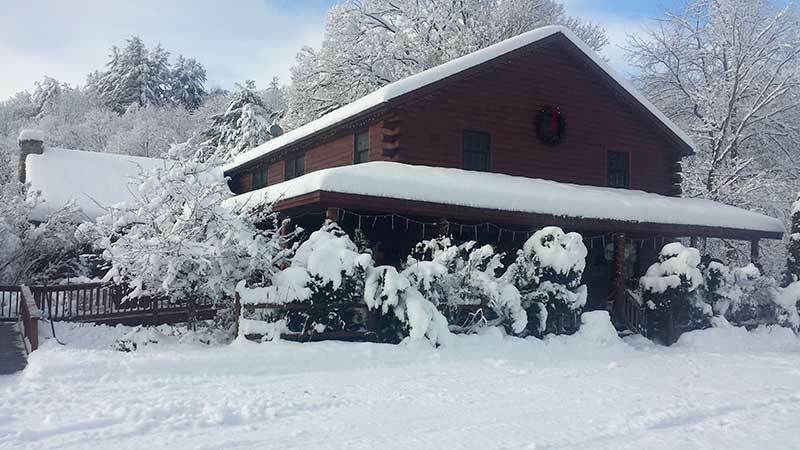 Whether you like being outside enjoying a winter sport or inside by a cozy fire the Glen Lodge is the vacation spot for you. The Glen Lodge B&B books out to groups in the winter who would like to rent the entire lodge. Your group gets eight guestrooms all with private bath and use of all of the common areas and kitchen. Your group will relax by the fire, in the great room, all together in the evenings and prepare meals together in the kitchen. There is plenty of room for everyone (up to 16) for sleeping, relaxing and dining. Gore mountain ski area is just 10 minutes up the road and miles of cross country skiing are all around the area. Snowshoe right out the back door. Shopping is nearby for those who enjoy local shops, antiquing and outlets. If you have already booked your winter vacation then now is the time to start planning your spring trip. We offer whitewater rafting & lodging packages spring through fall.